It’s boot camp graduation season at the Marine Corps Recruit Depot, a very proud time for our newest members of the armed services — and especially, for their families. It’s also a special time for me, as a veteran, to get the opportunity to host these families in my short-term rentals in Chollas View and North Park. Short term rentals have been debated in this city for far too long and for me, that’s troubling because of the guests I often welcome into my homes. My guests at the two properties are often big families traveling for their son or daughter’s graduation from MCRD and could never afford to stay at a hotel. Yet, if you’ve followed media coverage over the past couple of years, you’d think short-term rentals are all beach houses with partying guests. But through my involvement in this issue, I’ve had the opportunity to meet dozens of hosts from all over San Diego — and I’ve learned nothing could be further from the truth. The reality is, it’s far more common to find stories like mine: San Diegans using their homes to welcome guests from across the globe looking for an affordable way to peacefully enjoy our city with their families and get a sense of San Diego’s culture, history and wonderful people. For me, my short term rental is more than an opportunity to earn income — it’s an opportunity to provide many veterans like me a restful and comfortable stay while visiting the city. And despite the hype, most neighbors welcome these typically respectful visitors. This entire month, I’m hosting families here to celebrate a son or daughter’s graduation from boot camp. Most of these families are from out of state, and most of them are traveling on an extremely tight budget. Many of the families also tend to be large in size and short term rentals are their only option financially — they’re able to have a bed for each guest, a kitchen to cook in and a dinner table where they can enjoy their meal and each other during this special time. As a retired Naval officer, I find it tremendously gratifying to have so many military families stay with me. I treat my guests like extended family — making sure to address any accessibility issues, cooking breakfast, giving them tips of where to go and what to do, and being available to answer questions. I’ve even worked with families individually and given them discounts on their stay because I know firsthand what it’s like to serve our country. As a result of my career in the Navy, parents have even invited me to dinner to advise their son or daughter on how to rise through the ranks in the military. Yes, I go above and beyond to make my guests’ stays unique and comfortable. But what I’ve discovered is: Most hosts do the same. There are other veterans like me and other Airbnb hosts that are using their homes and earnings to help others in a number of ways. Our short term guests aren’t seeking traditional hotel accommodations, they’re looking for a different kind of travel powered by the people in the communities they’re visiting. There’s a reason they’ve chosen to stay in our neighborhoods. 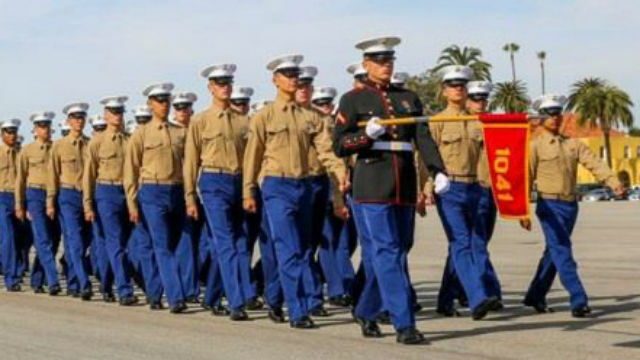 For many military families visiting San Diego, short term rentals offer an affordable means of attending events like MCRD graduations. . I understand why someone who lived next to a nuisance rental — be it long- or short-term — would want that situation addressed. But there’s a way to do that without effectively ending what is a great addition to our tourism economy and a financial boost to folks like me. What I and many San Diego hosts hope is that our city leaders will consider the full breadth of short-term rental operators and guests as they consider the regulations for this use. The majority of our councilmembers have come forward with compromises that offer great solutions to address noise complaints and other issues that can arise from STRs. The City Council must do their job and adopt rules that keep this small but important portion of our visitor industry working. Don Raymundo is a U.S. Navy veteran and Airbnb host.